Moving is a complicated and sometimes daunting project. 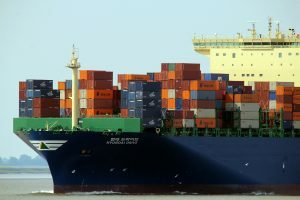 You need to pack, load, transport, unload and all in a constricted time frame. Therefore you need someone to help you out and to be the professional hand that makes your move much easier. Luckily we are here to help. Weather for a long distance move of a local one we are here to assist and provide. There are many different movers in NYC, but there is a reason why you should hire us when considering Chinatown movers. 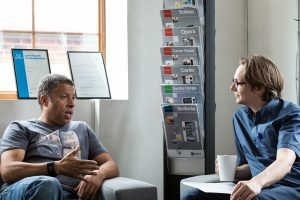 Why should one hire locally? There are so many online services that I can hire. Some of them even offer way better prices. Careful now! When you hire a moving company, you want it to be reliable, not cheap. 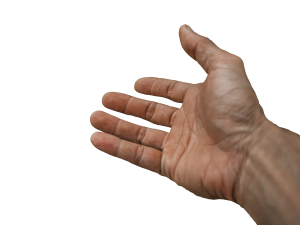 Remeber, from a certain point we, the moving company, are in possession of your items, and you don’t want someone unreliable to handle them. Since our employees have to go through rigorous background checks and screening processes, we can guarantee professional handling of your possessions. We think of items as extensions of their owners, and treat them with respect and care that they deserve. When just looking online, it is hard to check up on your moving company. By hiring local Chinatown movers you can make sure that your items will be handled properly. You can feel free to ask us anything, as we are more than happy to make your concerns go away. To do a project, such as moving, properly you need to have good communication with people helping you, and there is no way you can have that with an online company. With local Chinatown movers, you can make plans that are just not possible with online movers. 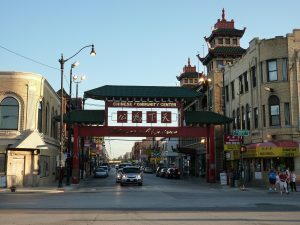 What services can Chinatown movers provide? Some things, like packing, can be properly done without professional help, but if you are experienced we recommend talking to us. If nothing more, at least for advice. Bad packing can easily lead to mishandling and breaking of your possessions, and we want to avoid that as much as possible. If you want to rid yourself of that risk, our professional packing services will pack all your possessions properly and reduce the risk of damaging them practically to a zero. Once your things are packed, you will need someone to load them up to a truck. And a small error while carrying a heavy box can lead to an injury. Especially if you are not used to carrying a heavy object and are tired and stressed (as you probably will be during your move). Chinatown moving company, such as us, will gladly provide you will professionals who have the proper knowledge and equipment to safely load and unload all your items. Don’t risk getting injured or getting your friends injured. Health is wealth, and we are here to help you save both. And, hey, who better to handle your items than the people who packed them? You want your move to be done efficiently with reasonable cost. Hey, we hear you. That’s why we started our company. Whether it is last minute, or months in advance we will make sure that your move is both time and cost efficient. Especially in the stress of the last minute move, you will be looking for top Manhattan moving services & solutions, and if you ask around for Chinatown movers, you will surely come to us. Our years of professional services speak for themselves. Moving long distances is always a bigger project than moving short distances. Depending on the location you are moving to, you might need to utilize different types of transport and storage. All of these things need to be done professionally and carefully to ensure safe transport of your possessions. Therefore, when looking for Chinatown movers for long distance move, hiring us for Manhattan movers and storage services will be your best bet. Some long-distance moves may require different modes of transportation. As we said, reliability is the most important trait you are looking for in a Chinatown moving company. Scams are known to happen in the moving industry and you want to avoid them as much as you can. A known scam is for a moving company to give you a low estimate and once they load their trucks with your possessions, demand a considerably higher price. That is just one of many. 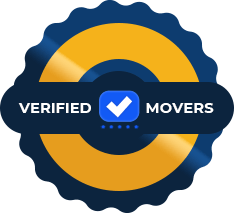 Our moving company is certified, licensed and insured. We recommend that you check New York State legal documentation regarding moving services. We want you to be informed and smart when picking your Chinatown moving company, as we are sure that once you are in the right mindset you will choose us. If you are looking for a Chinatown moving company, feel free to stop by. Every move is stressful and we strongly recommend that you try and take of yourself. Stress can lead to many injuries and diseases, and while we are here to help you as much as we can, paying attention to yourself has no substitution. In order to stay healthy during your move, you should eat properly, get enough sleep and relax. If you hired us, you can rest easy that your move is in the right hands. Rember once you work with us we consider you a part of a team. And we take care of our team members. Whatever you do, be sure to inform us, so we can make and change plans accordingly. The more time you give us to prepare the better we can organize your move. Moving can be hard, but not if you have the right Chinatown moving company helping you. We are here to help you however we can.